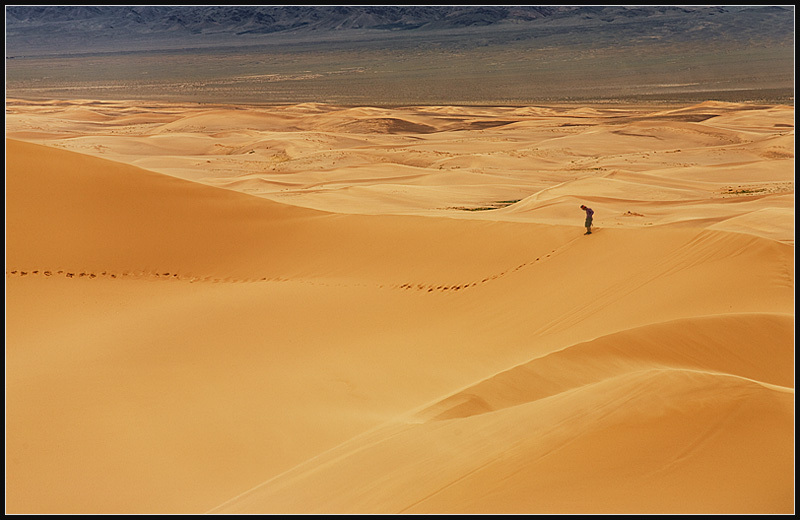 Somewhere in the Gobi desert, a Korean travel-mate stands at the ridge of an impossibly tall sand dune over a valley of smaller sand dunes. To reach the tops of these sand dunes, requires a surprising amount of stamina. For every 2 steps forward, one step is lost slipping back down the dune. I estimated these dunes to be approximately 150-200 meters tall.